Left Alive Trailer Arrives from Metal Gear and Armored Core Alum | Nerd Much? Square Enix made Monday a little better by debuting a brand new trailer for us today. 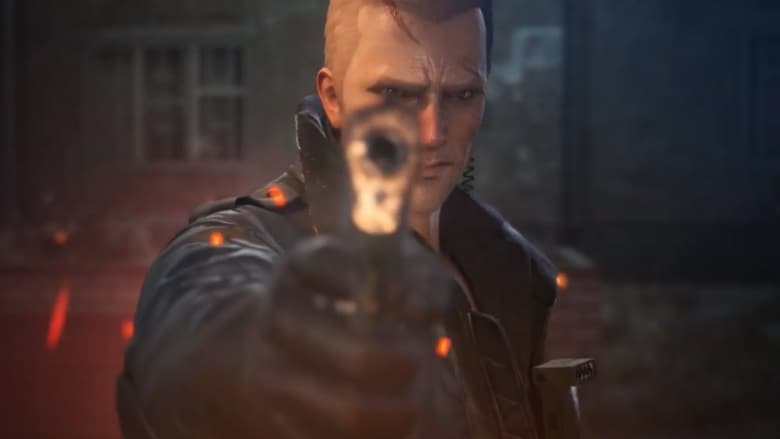 The publisher confirmed that their survival action shooter Left Alive will be coming our way next year with a new trailer showing cinematics from the game. The game is being helmed by a trio of veteran developers with some recognizable projects under their belt. Toshifumi Nabeshima was previously the director of the Armored Core series. And you can easily see that mech franchise’s influence in todays’ debut trailer. Yoji Shinkawa is another iconic developer working on Left Alive. Formerly of Kojima Productions, Shinkawa is reknowned for the character designs that he created for the Metal Gear series. Again, today’s trailer certainly resembles Metal Gear in many ways. So Shinkawa’s imprint on Left Alive is evident too. Takayuki Yanase is also credited by Square Enix as a pivotal member of the development team. Yanase has a prolific history in mech based projects. He’s been involved with Ghost in the Shell: Arise, Mobile Suit Gundam 00 and Xenoblade Chronicles X.
There’s no gameplay in today’s footage, but you do get a general vibe for the feel of the game. And there’s little doubt that Left Alive is going to garner a ton of comparisons to Metal Gear and perhaps even the Front Mission series. The latter of which has lain dormant at Square Enix since 2010. Square Enix declared Left Alive as a 2019 game in the conclusion of today’s trailer. The game is currently being developed for PlayStation 4 and PC. No word on whether a version for Xbox One or Nintendo Switch are in the works as well.